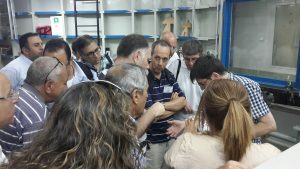 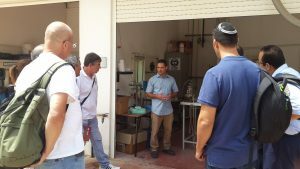 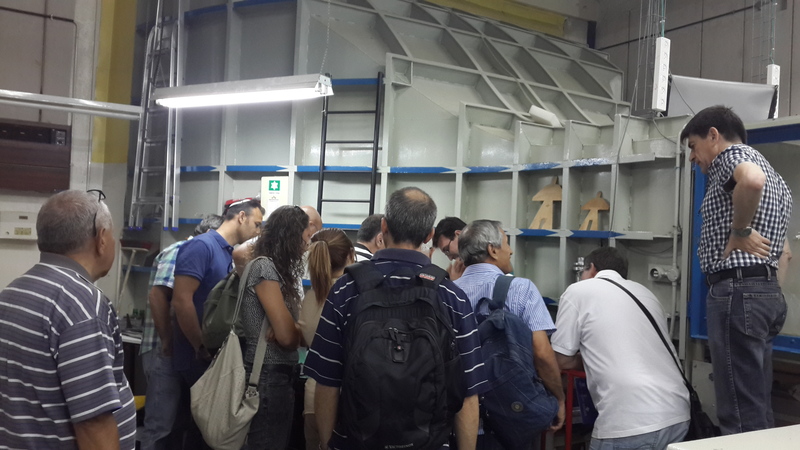 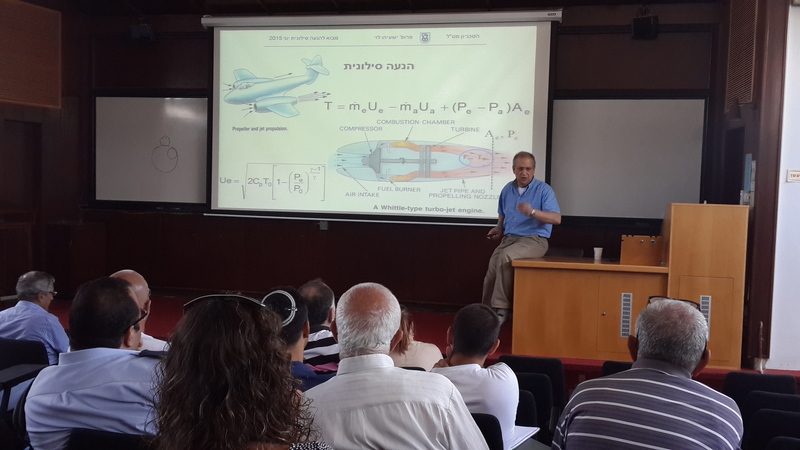 On Tuesday, June 30, 2015, the faculty held a seminar for 20 teachers from all over the country that teach Aerospace related subjects in Israeli high schools. 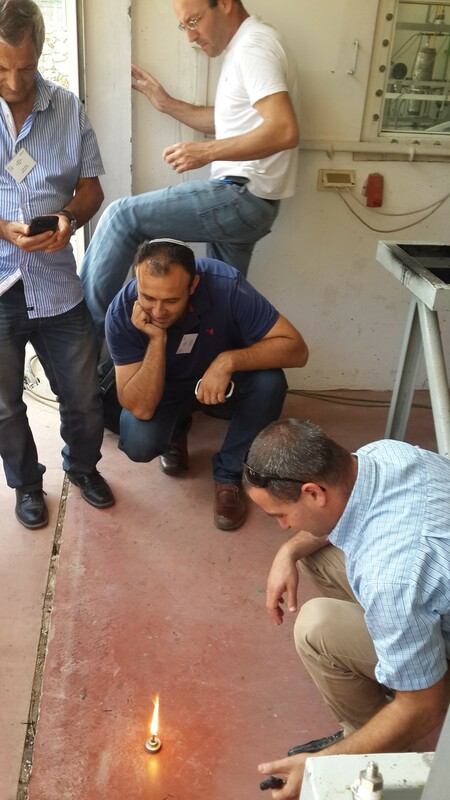 During that day, the teachers attended lectures by Prof. Eran Sher and Prof. Yeshayahou Levy. 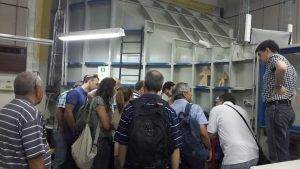 The teachers also toured the Wind Tunnel Complex, accompanied by Mark Koifman, the lab engineer, and The Propulsion and Combustion Lab, accompanied by Dr. Yinon Yavor. 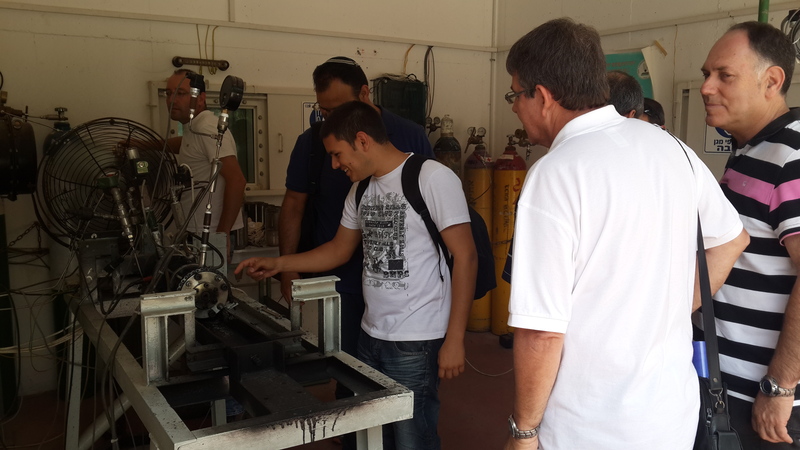 Aerospace related subjects are taught in several high schools in the country. All their graduates are drafted into the technical division of the Israeli Air Force. 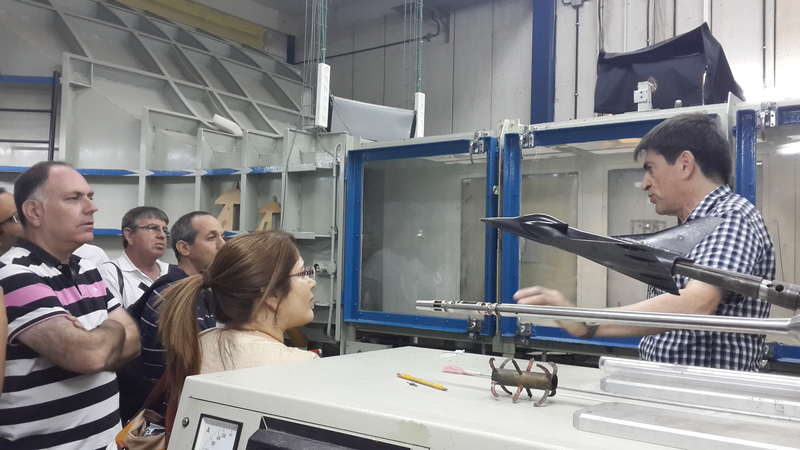 During the last decade, the field of avionic systems in Israel has developed rapidly. 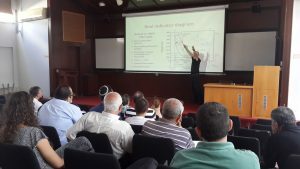 In parallel, the curriculum in the high schools had been updated to include advanced subjects in Rocket Propulsion, Rockets, Satellites, and Unmanned Aerial Vehicles. 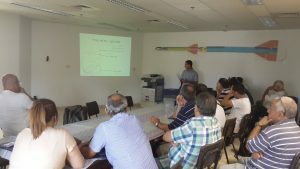 This is the second time in the last three years that our faculty members, engineers, and researchers have willingly stepped up to share their knowledge with the teachers in order to help promote aerospace studies in their respective high schools. 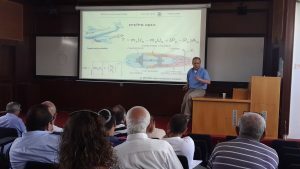 The seminar was sponsored by MoreTech – The Israeli National Center for Technology Teachers, located at the Department of Education in Science and Technology at the Technion and by the Faculty of Aerospace Engineering at the Technion.